War was declared at 11:15, and Mary North signed up at noon. 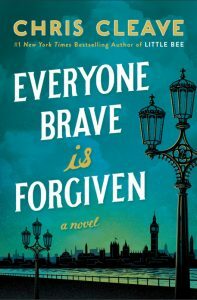 Chris Cleave’s Everyone Brave is Forgiven is a wonderful, heartbreaking novel about the people who find themselves at the beginning of and in the midst of a brutal world war. This novel brings the reader to the front and center of the lives of Londoners at the beginning of WWII, and the reader is able to experience how the war affected people both on the home front and at the war front. 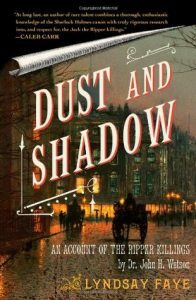 Mary North, a young London socialite, is determined to make a difference in her life and in the lives of others, and she volunteers her services to the war effort. 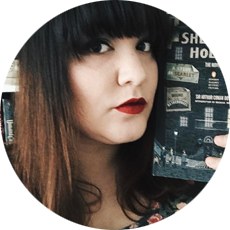 She is assigned to be a teacher to children who have been evacuated from London. There she meets Tom, her employer and future lover, and learns about Alastair, Tom’s friend who has enlisted and about whom Tom is distraught. There’s bravery on the war front, with men and women facing dangers not seen before, but there is also bravery on the home front, fighting class and racial prejudices. 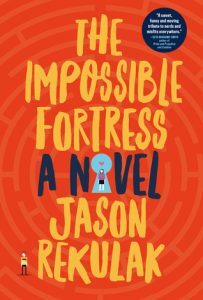 It’s a deft combination of all sorts of bravery and how it affects each of the characters while each are dealing with feelings of longing, belonging, loyalty, and love. If you’ve read Doerr’s All the Light You Cannot See and Hannah’s The Nightingale and want more to read in a similar vein, this one comes highly recommended.